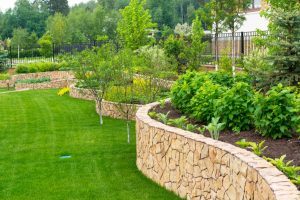 Landscaping Service in Ft. Collins wants to help you get ready for spring with some helpful tips to get your property looking picture perfect. Part two of this blog will wrap up ideas to get your yard looking its best.. This is probably everybody’s least favorite activity when it comes to maintaining landscaping. Did you know we can apply an application to your planting beds that will save you lots of weeding, time, and money. Mulching is one of the most important ways to protect and maintain healthy landscaped plants, shrubs and flowers. Organic mulches break down and add to the nutrient base of the soil making it richer. Now is a great time to plant so take a look around your landscape and decide which areas can use a little updating. We can help you by putting together a quote once we determine the amount of sunlight that will affect different sections of the property. That way, we can properly select the right plants and shrubs. Flowers are great for short term solutions to vibrant color. These tips will guarantee your landscaping will look impeccable to all who come over or pass by. If you don’t feel qualified or don’t have the time, we are happy to help give you the landscape of your dreams.